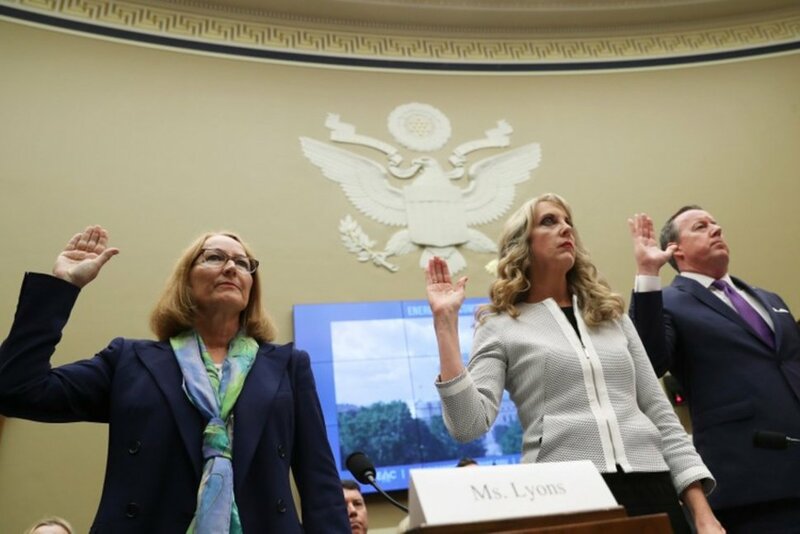 USA Gymnastics and United States Olympic Committee (USOC) leaders were strongly criticized during a Congressional hearing on the responses of their respective organisations to sexual abuse scandals. Kerry Perry, President and chief executive of USA Gymnastics, and Susanne Lyons, the USOC acting chief executive, were both lambasted by lawmakers despite each only taking up their posts in the aftermath of the scandal surrounding former Olympic team doctor Larry Nassar. He has been jailed for up to 175 years after more than 300 people accused him of abuse. Other members of the House Energy and Commerce Subcommittee on Oversight and Investigations reportedly chastised Carter for “badgering” the witnesses and misrepresenting several points. He was not alone in his criticism, however. “I’m not reassured by your testimony because I don’t hear a sense of urgency,” said another representative, Debbie Dingell, according to NBC. “What are we doing to protect these young people right now? Perry, who refused to speak to media after her appearance, also claimed it was “her understanding that Mr. Nassar was asked to step away” when allegations first emerged in June 2015. “I would need to see all the facts around that,” she replied when Congressman Tim Walberg asked her if he had done so. Carter also attacked Perry for a perceived lack of response the mother of a Georgia gymnast received when reporting allegations involving a coach, William McCabe, who was later charged with molesting gymnasts and is now serving a 30-year prison sentence. He asked her whether McCabe would have been subject to a background check. “I was not there, I can’t answer that,” Perry, who only took up her position in December 2017, said, according to USA Today. “This is ridiculous,” Carter responded. Former USOC chief executive Scott Blackmun and USA Gymnastics President Steve Penny each lost their positions in partial connection with the crisis. Other sexual abuse allegations have also surfaced across many other sports in the US. Representatives from swimming, taekwondo and volleyball are also witnesses at the hearing. Next articleIs the Super Bowl Worth the Cost in Glendale?